Lin Ding is an associate professor in science education in the Department of Teaching and Learning. He has extensive experience in discipline-based physics education research, including students' conceptual learning, problem solving and scientific reasoning, curriculum development and assessment design. Prior to joining the EHE faculty, Ding was a research associate and lecturer in Ohio State's Department of Physics. Dr. Ding's interest concentrates on discipline-based physics education. His research topics include student learning deficiencies in conceptual understanding, problem solving and scientific reasoning, curriculum development, and assessment design. His work embraces both qualitative and quantitative techniques, and often extends to ideas from other disciplines, such as cognitive psychology and statistics. While his past effort has been uniquely focused on the college level physics teaching and learning, he now is seeking to expand his work to lower grade levels (K-12) and to other science disciplines. 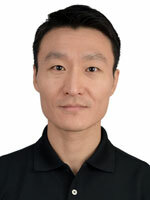 Referee for Physical Review - Physics Education Research, American Journal of Physics, European Journal of Physics, Journal of Science Education, Science Education, International Journal of Science Education, Science Education Review Letters, Journal Research in Science Teaching, Physics Education Research Conference Proceedings. Ding, L. and Mollohan, K. (2015). How college-level introductory instruction can impact student epistemological beliefs. Journal of College Science Teaching. 44(4), 19-27. Ding, L., and Caballero, M. (2014). Uncovering the hidden meaning of cross-curriculum comparison results on the Force Concept Inventory. Physical Review Special Topics: Physics Education Research. 10(2), 020125. Ding, L. (2014). Verification of causal influences of reasoning skills and epistemology on physics conceptual learning. Physical Review Special Topics: Physics Education Research. 10(2), 023101. Ding, L., and Zhang, H. (2014) Science education study under the international view (国际视野下的科学教育研究). Education in Chemistry (化学教学). 328(7), 3-6. Ding, L. (2014). Seeking missing pieces in science concept assessments: Reevaluating the Brief Electricity and Magnetism Assessment through Rasch analysis. Physical Review Special Topics: Physics Education Research. 10(1), 010105. Ding, L. (2014).Long live traditional textbook problems!? — Constraints on faculty use of research-based problems in introductory courses. International Journal of Science and Mathematics Education. 12(1), 123-144. Ding, L., Chabay, R., and Sherwood, B. (2013). How do students in an innovative principle-based mechanics course understand energy concepts?. Journal of Research In Science Teaching. 50(6), 722-747. Zhang, P. and Ding, L. (2013). Large-scale survey of Chinese precollege students' epistemological beliefs about physics: A progression or a regression?. Physical Review Special Topics: Physics Education Research. 9(1), 010110. Ding, L., Reay, N. W., Lee, A., and Bao, L. (2011). Exploring the role of conceptual scaffolding in solving synthesis problems. Physical Review Special Topics: Physics Education Research, 7(2), 020109. Lee, A., Ding, L., Reay, N. W., and Bao, L. (2011). Single concept clicker question sequences. The Physics Teacher, 49(6), 385-389. Ding, L. and Beichner, R. (2009). Approaches to data analysis of multiple-choice questions. Physical Review Special Topics: Physics Education Research, 5(2), 020103. Ding, L., Reay, N. W., Lee, A. and Bao, L. (2009). Are we asking the right questions? Validating clicker question sequences by student interviews. American Journal of Physics, 77(7), 643-650. Bao, L., Cai, T., Koenig, K., Fang, K., Han, J., Wang, J., Liu, Q., Ding, L., Cui, L., Luo, Y., Wang, Y., Li, L., Wu, N. (2009). Learning and scientific reasoning. Science, 323(5914), 586-587. Bao, L., Fang, K., Cai, T., Wang, J., Yang, L., Cui, L., Han, J., Ding, L. and Ying, L. (2009). Learning of content knowledge and development of scientific reasoning ability: A cross culture comparison. American Journal of Physics, 77(12), 1118-1123. Kohlmyer, M., Caballero, M., Catrambone, R., Chabay, R., Ding, L., Haugan, M., Marr, M.J., Sherwood, B., Schatz, M. (2009). Tale of two curricula: The performance of 2000 students in introductory electromagnetism. Physical Review Special Topics: Physics Education Research, 5(2), 020105. Gaffney, J., Richards, E., Kustusch M., Ding, L. and Beichner, R. (2008). Scaling up education reform. Journal of College Science Teaching, 37(5), 48-53. Ding, L. (2008). What’s hidden may be crucial: Uncovering student ideas in science: 25 more formative assessment probes, Vol. 2, book review. The Physics Teacher, 46(4). 254. Ding, L., Chabay, R., Sherwood, B., & Beichner, R. (2006). Evaluating an electricity and magnetism assessment tool: Brief Electricity and Magnetism Assessment. Physical Review Special Topics: Physics Education Research, 2(1), 010105. Huang, X., Ding, L., and Hu, B. (Accepted/In Press) Science Curriculum and Implementation in Senior Secondary School, in Science Education in China -- Policies, Research, and Practices, edited by L. Liang, X. Liu, and G. Fulmer (Springer). Ding, L.,and Reay, N. W. (2014). Teaching undergraduate introductory physics with an innovative research-based clicker methodology, in Research in Science Education: Research-based Undergraduate Science Teaching Vol. 6, edited by D. W. Sunal, C. S. Sunal, E. L. Wright, C. L. Mason, and D. Zollman (Information Age, Charlotte, NC). 301-330. Jones, D. L., Ding, L., and Traxler. A.(Eds.). (In Press). 2016 Physics Education Research Conference Proceedings. College Park, MD: American Association of Physics Teachers. Churukian, A. D., Jones, D. L., and Ding, L. (Eds.).(2016). 2015 Physics Education Research Conference Proceedings. College Park, MD: American Association of Physics Teachers.